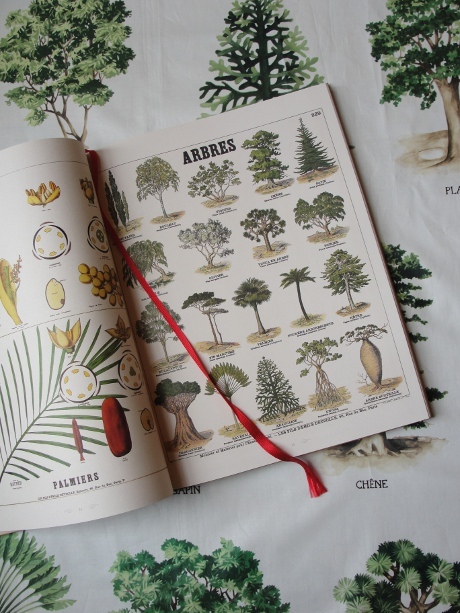 Based on early 20th century botanical drawings, Pierre Frey's new Arboretum fabric, blends French sensibilities with a keen appreciation for natural elements. It's a combination I'm fond of- I mean, we did get married in an Arboretum. 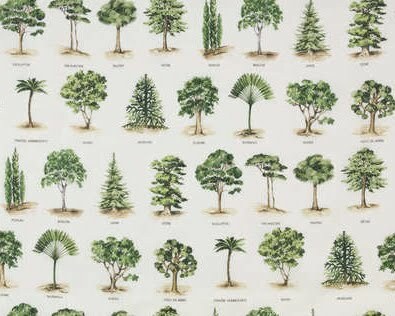 Some people plant a tree to commemorate marriage, I think I'd like to drape them all over my home! I think the last image would be a fun wallpaper, no? Oh what a great idea. That way you will be blessed to remember that special day everyday!! I think it was in Town and Country I saw that Milly created a dress from this fabric. It was an amazing pic! Jess, I totally agree, I would love it as a wallpaper! And Lindsay I originally saw this fabric in T&C and fell in love.. wasn't that Milly dress insane! !